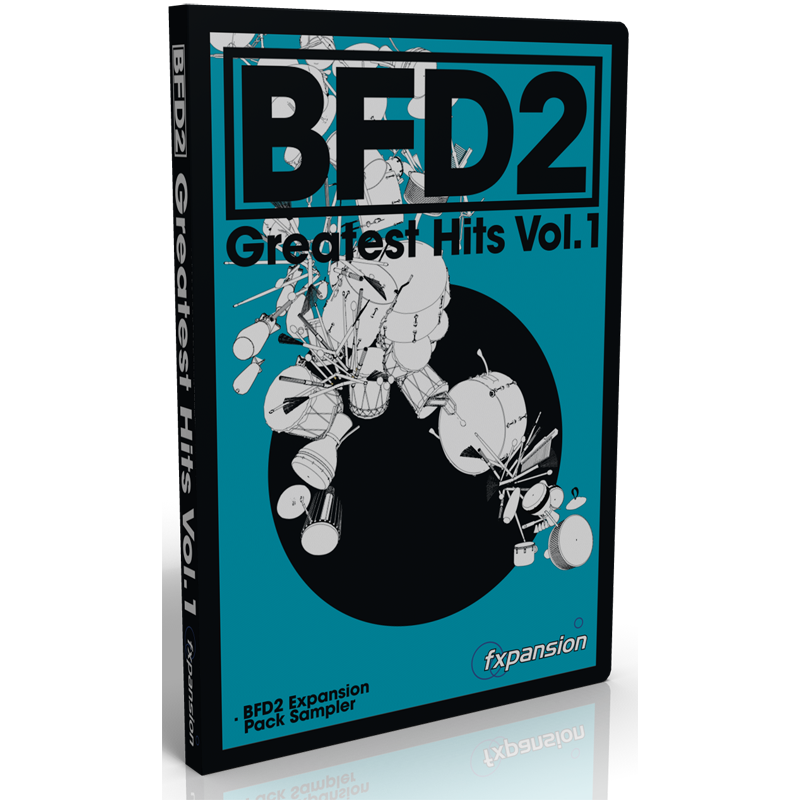 FXPansion’s BFD Greatest Hits Volume 1 Expansion Pack is a great addition to your drum sample library. It is a compilation of the best drum kits from a few other BFD expansion packs including BFD Percussion, Big Orchestral Marching Band, and the Jazz and Funk Collection. BFD Percussion gives you a wide selection of Latin, African, and household junk drum samples. Congas, djembe, and timbale drum samples cover the ethnic samples while cups, saw blades, pots, pans, and samples from everything including the kitchen sink round off this diverse drum collection. Big Orchestral Marching Band (BOMB) samples include explosive snares and huge concert bass drums, while chimes and timpani come in melodic scales. Truly amazing in this collection are the tonal bass drums for thumping low-end bass lines. To top it all off, the Jazz and Funk samples add tight and snappy dynamic drum kits to the compliation. Kits include Gretsch and Ludwing with a diverse set of Sabian cymbals, and are provided in a huge variety of articulations. If you already have BFD then you know the high quality standards of this software and the total flexibility of drum articulations. BFD Greatest Hits will expand your pallet of drum samples and give your tracks new dimension. Support for FXPansion products can be found on their website at www.fxpansion.com.